Each Browband is individually hand-plaited on 3/4" (19mm) leather. 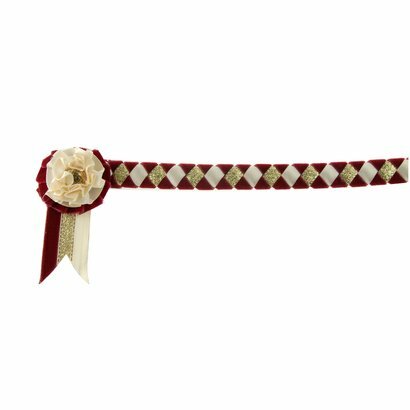 The diamond design uses velvet ribbon to border satin and lurex ribbons and is beautifully finished with a beautiful roset. Lovely English quality leather bridle. With plain browband and flat noseband. 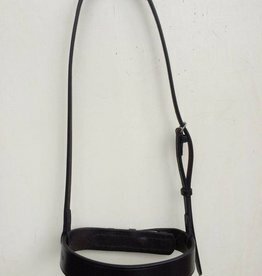 Plain leather cavesson noseband. 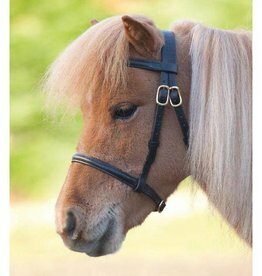 Width: 3cm Length of the noseband 64cm. Between the sidepieces 27cm. Lovely quality leather show bridle with plain browband. 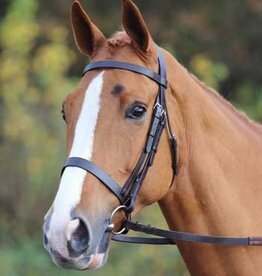 Flat noseband, copper buckles. 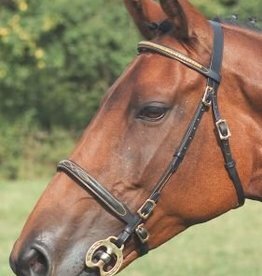 Lovely leather show bridle with studs browband, nicely stitched on the flat noseband. 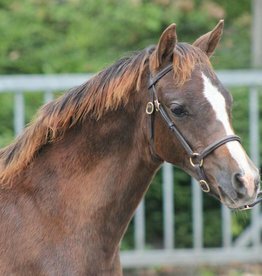 The Welsh partbred pony pictured is wearing Ponysize. Availiable in havanna and black. 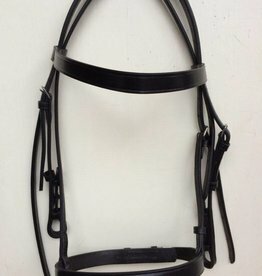 Superb leather showbridle for stallions and mares. 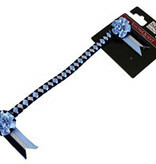 Made out of round leather in good quality. 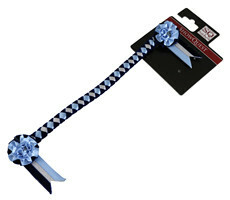 This bridle can be used with a bit. 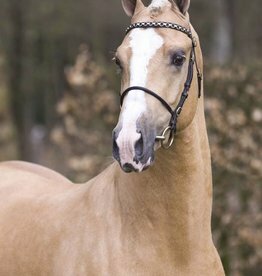 Available in onze size, which, for example, will fit Welsh Parbred, NRPS, NWR en or another native bred in ponysize. Lovely quality bridle with plain cavesson and rubber grip reins. Lovely show bride English quality leather. 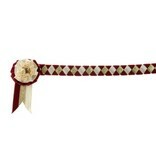 With plain browband. Noseband 2cm.